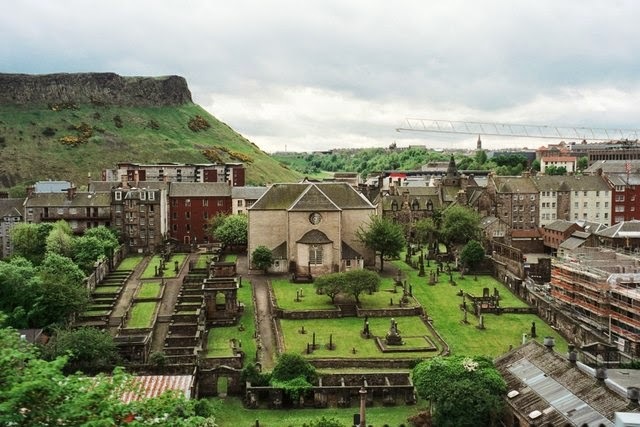 After much deliberation and brain strain, it's decided that a mini-trip to Scotland is going to be pure pleasure and not research stress (deadlines of open hours, running from NRS to NLS or SGS involving steep hills, having enough £1 coins, etc). Pleasure means immersion in fabulous Edinburgh where I'm fairly sure some of my yet unproven Dougalls trod. Canongate Kirk (not St. Cuthbert which I had had my eye on) saw a goodly number of them coming and going. I anticipate visiting places I missed the time before. Possibly running across a favourite author like Ian Rankin (it's his birthday next week!) or Kate Atkinson whom, the interweebs tell me, live in a cosy cluster with Alexander McCall Smith and JK Rowling. As a subject, the city seems inexhaustible. This is, after all, a city of words. As I walk through the streets of my adopted home, I can feel that Edinburgh is holding something back from me. After more than 15 Rebus novels, there are still so many things I don’t know about the place, so many secrets and mysteries lying just behind its fabric, stories waiting to be told. A city of words. A city of stories. Then what of Glasgow, the nation's largest, perhaps less glamourous but more vibrant city? 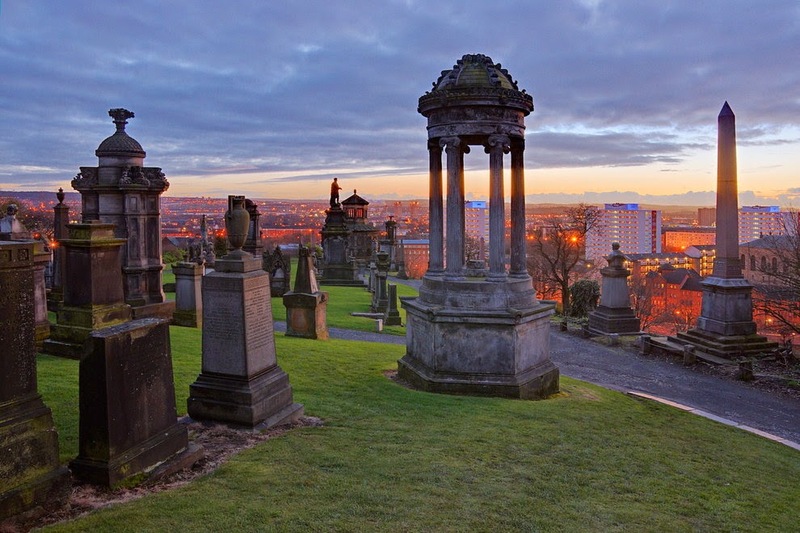 Neglected on previous excursions, Glasgow will speak to me in its own words and stories thanks to a friendly guide. Oh wait. Let's not forget I'm supposed to be a genealogist. With a historical/literary agenda, what could possibly go wrong? Encyclopaedia Britannica Blog (http://blogs.britannica.com/2011/04/happy-birthday-ian-rankin-teller-edinburghs-stories/ : accessed 20 April 2015). 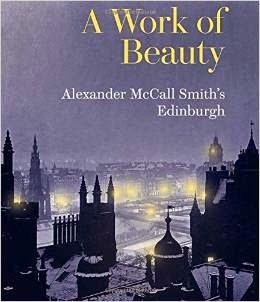 A Work of Beauty: Alexander McCall Smith's Edinburgh (http://www.alexandermccallsmith.co.uk/books/other-titles/a-work-of-beauty-alexander-mccall-smiths-edinburgh/ : accessed 20 April 2015). Time to get your kilt on again! It's an official day of observance in Canada (but not a national holiday), thanks to Nova Scotia's advocacy in the 1980s. At the very least, get out that Maple Leaf tartan cap / scarf / shirt. And please don't call it plaid ― that's a garment. The 6th of April, 1320, was the date of the Declaration of Arbroath, affirming Scotland's sovereign independence and reinstating Robert Bruce as its king. The Declaration was in the form of a statement sent to Pope John XXII to refute England's power claims. The Pope agreed – temporarily – but we know how well that worked out the past seven hundred years. 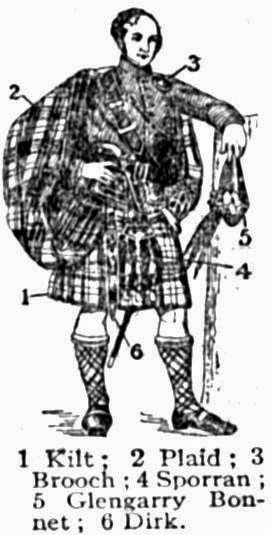 Nevertheless, Scottish (Highland) identity is one of the strongest and most distinct cultures in the world. Sip a whisky (rehearsing for Whisky Month in May). And get your tartan on.